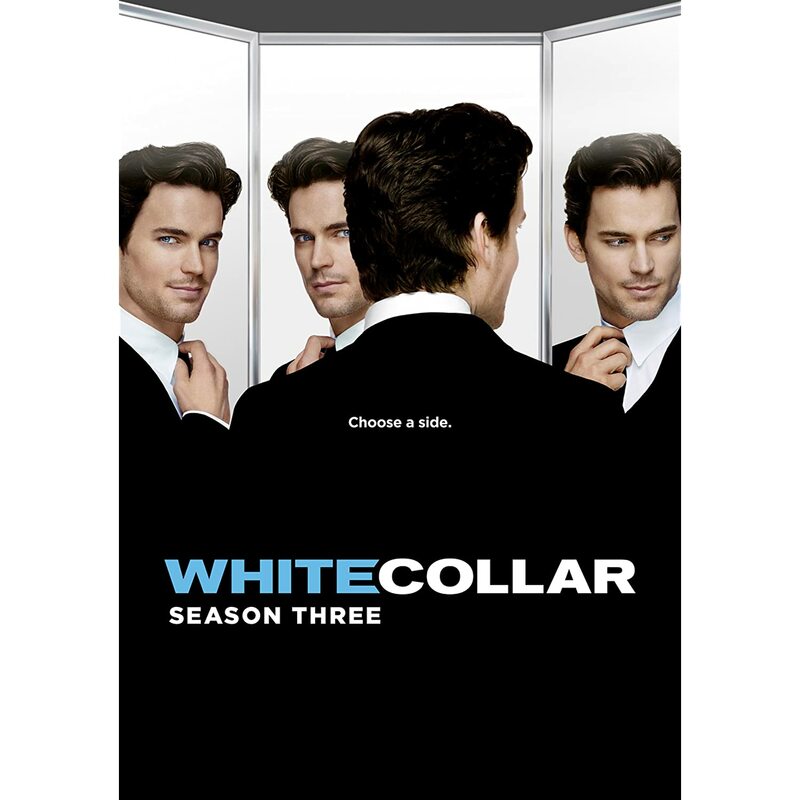 Quick Take: White Collar, "Veiled Threat"
Review: White Collar, "Veiled Threat"
(S0305) It's no secret that the bulk of the success of White Collar comes from the casting, specifically Matt Bomer. All the men want to be him and all the ladies want to be with him. However, if that is an accepted truth than it must also be acknowledged that the casting of Tim Dekay is just as effective. Not only does he have the perfect boyish good looks that offset Bomer's classic handsomeness but their onscreen chemistry is so perfectly honed that the audience has to constantly be reminded that one of them is a Fed and the other is a felon. I am often confused as to which is which. This episode is particularly suited for Peter and Neal's particular relationship. In order to arrest a woman who the FBI thinks is murdering her husbands Peter, Neal and Jones (Sharif Atkins) are all going undercover as bachelors at a charity auction hoping that she will win one of them and they can learn her secrets, specifically why is she killing these dudes if she isn't collecting any money after their death. After the initial nervousness and discussions about how to get the black widow to bid on them, it becomes clear that this is going to be a compeition between the three men. The only addition that could make the night more enjoyable would be a great auction host, which is supplied in the form of Jonathan Silverman. The meet and greet for the bachelors is pretty hilarious with Jones turning his charm meter up to eleven and Neal doing everything he can to turn off every other woman including answering his cell phone and texting during their short visit. Peter is lucky enough to meet The Black Widow (Madchen Amick) later in the evening, so he is able to make a decent impression on her. In the end The Widow wins Peter with a bid of $15,000 while Diana (Marsha Thomason) is forced to buy Neal for a paltry $1,000. In the meantime, there is a B story about Neal trying to show his commitment level to Sara, the skinniest insurance investigator ever (Hilarie Burton) but that only gets interesting after Peter has to commandeer the romantic night Neal has planned while Neal and Sara watch through two-way glass. After Neal helps Peter sketch a portrait of The Widow and ask her to marry him, things are in full swing and I was really enjoying the episode. It only got better when the went to see their wedding planner, Peter's wife, Elizabeth (Tiffani Thiessen). All in all, this episode is the perfect example of why White Collar is so popular, what with its believable intrigue, entertaining characters and hilarious situations, not the least of which is Peter's fake bachelor party. It all come together for another great episode. USA shows consistently drift just on the primeter of my radar of Shows I Keep Meaning to Check Out (I was a huge fan of the first three seasons or so of The Dead Zone, but that was some years ago now). Based on coverage of USA's summer season here on tvga though I am reminded that I need to prioritize a little better! Huge welcome to TVGA Paul, and amazing to have the King of TV with us ! "All the men want to be him"
Nope. Matt Bomer is gay, so no straight man will want to be him. Besides, between his skinny pencil neck frame and the tight clothes that he wears, thanks but no thanks. I admit that it was hard to pay attention to the plot in this episode, as I was drooling over Madchen Amick. But another stellar episode for White Collar and a great showcase for the character of Peter. Excellent write-up! Fortunately many people find lots of things to like and find attractive about Matt that have nothing to do with his sexuality, and don't feel that impacts on his charming and effective portrayal of Neal Caffrey. As to the episode, this was an enjoyable enough episode of White Collar, although I think it's about time for a Neal-centric episode. And I still think Sarah/Hilary Burton is superfluous to the show. "Veiled Threat" was a hilarious episode; pure delight. The speed dating scenario and character dialogue were top-notch. Great entertainment combined with the banter we've come to love from White Collar. Tim DeKay showed us, once again, his versatile talent and charisma.